Last year my son had the opportunity to participate in his first summer day camp after we were introduced to Jump Start Sports. Being his first camp, he (and I!) were a little nervous. :) But then we met Coach Jen! 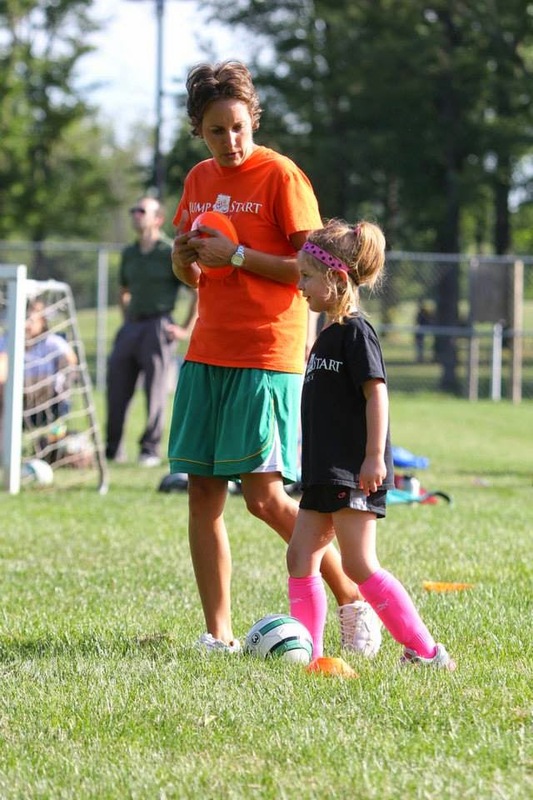 Jen Yuvan has worked with kids and sports for over a decade and she is fantastic! Jen is the Pittsburgh Area Manager for Jump Start Sports. 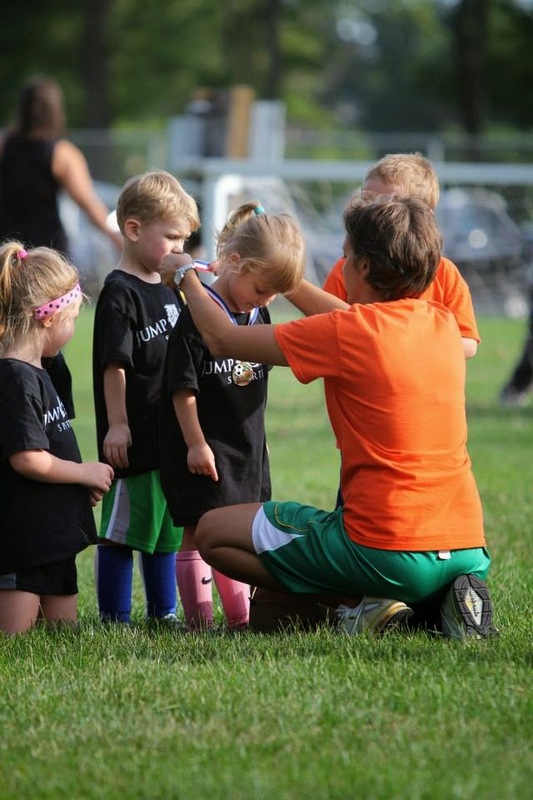 She gets the kids motivated, encourages the nervous ones, and makes sure all the kids are actively involved. Jump Start Sports will host summer camps all around the Pittsburgh area; including Upper St. Clair, Bethel Park, Irwin, Monroeville, Allison Park, Bridgeville, Brentwood, Munhall, Sewickley, Harrison City + more! Go here to see the options and to register. Their sports camps are active and fun! You also have the option of half day or full day camps. Children ages 4-12 are divided into “countries”, separated for age-appropriate instruction, and learn about a wide variety of Olympic sports including track and field, soccer, basketball, hockey, team handball, and more. Children ages 4-12 "enroll" in the college of their choice and have a blast learning about and playing a wide variety of college sports, including basketball, soccer, hockey, volleyball, lacrosse, and more. Campers make a school pennant and wear their school colors to demonstrate their school spirit throughout the week. 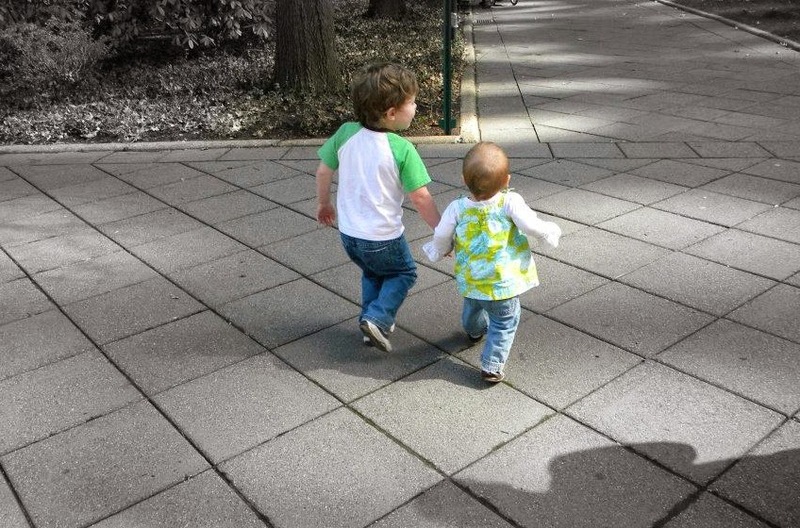 Children are separated by age for all competitive activities. Jump Start Sports also offers a wide variety of sports leagues around the Pittsburgh area, including soccer, basketball, hockey, t-ball, and lacrosse. Go here to find out more about their sports leagues. We know there are lots of summer camp options. 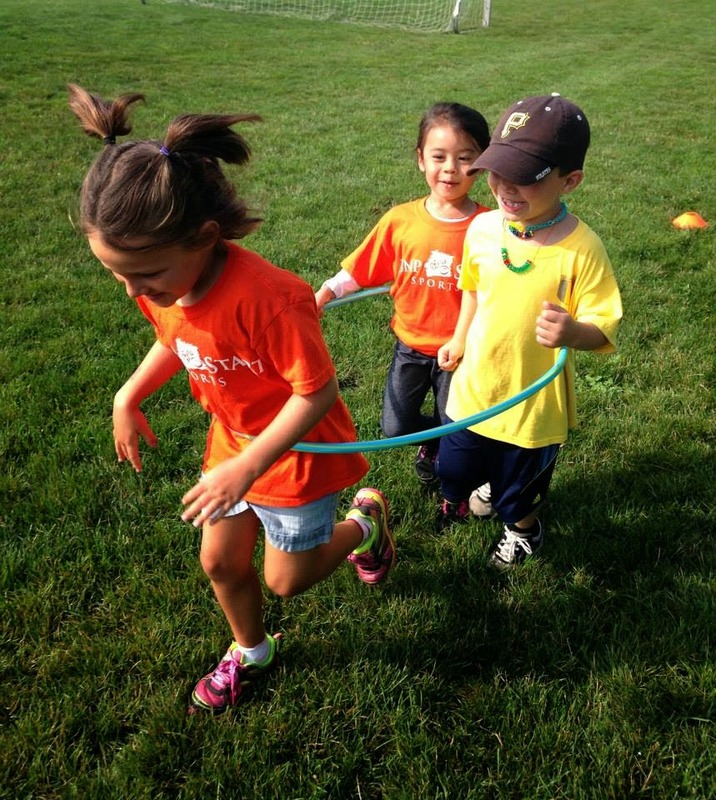 Jump Start offers a fun way for kids to stay active and learn new skills in sports! This post sponsored by Jump Start Sports. However, all opinions remain my own. Photos used by permission of JSS. Don't Miss: Summer Camp Expo, The Burgh's Best Bunny Bash & A Very Special Birthday Par-TEA with the Snow Queen! Parents and families of all ages! Don't miss these fantastic Macaroni Kid of Pittsburgh opportunities coming your way! What will you do with the kiddos this summer? There are SO many great options! Pittsburgh's Only Summer Camp Expo held at Latitude 360 March 21, 2015. 11 AM- 2PM Parents and families join us for a FREE day of family fun and take the time to meet and greet with camp representatives from all over Pittsburgh and even Ohio! ALL CAMPS for ALL AGES! Music, dance, arts, science, childcare, rowing, sleep-away, sports, golf, language and MORE! VIP Bags to the first 200 families. Giveaways- Raffles-Activities- Meet the Princesses- Balloon Art- Face Painting! Why search a hundred websites? Just come out and meet the camp reps in person and bring the kids for some fun! Register for FREE today at www.tinyurl.com/campexpo2015. Can't make the expo? 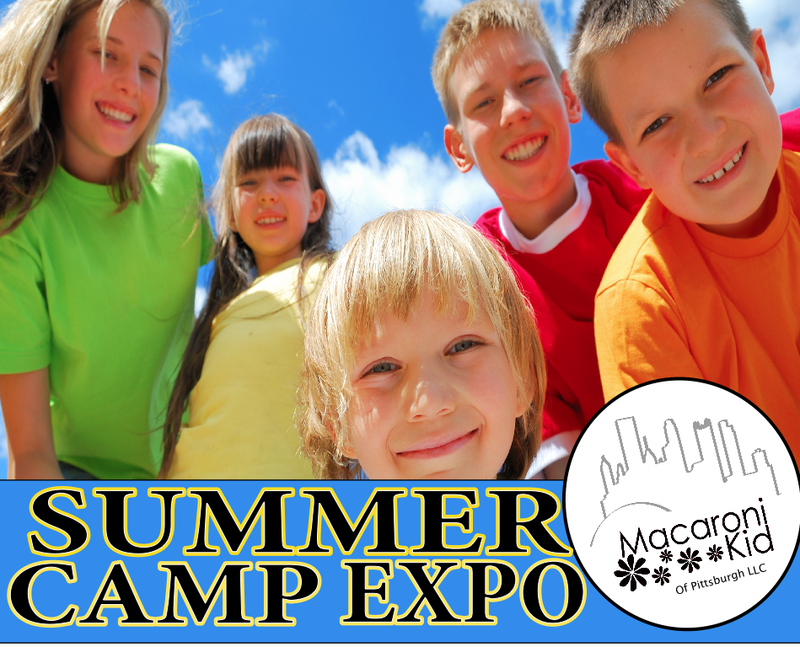 Check out the Macaroni Kid of Pittsburgh Summer Camp guide HERE. Enjoy breakfast, an "Egg-cellent Easter Egg Hunt", picture corner with Mr. Bunny, cookie decorating, a bunny craft and a "Bunny HOP" finale on the dance floor! 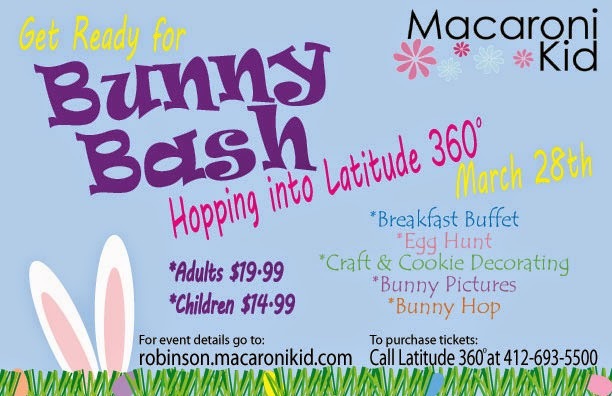 For more details or to purchase tickets contact Latitude 360 at 412-693-5500. Adults $19.99 Children $14.99 / This event WILL sell out so register today! A Very Special Birthday Par-Tea With Macaroni Kid & The Snow Queen! 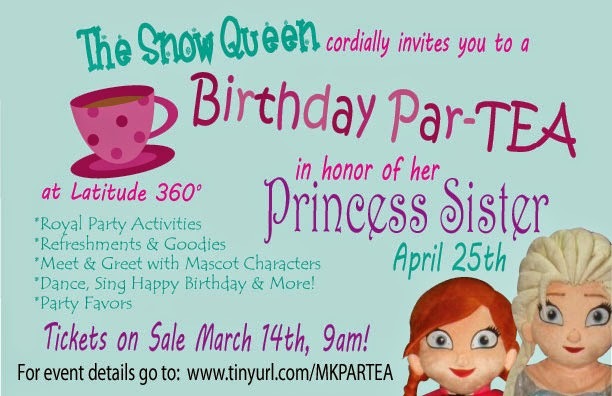 The Snow Queen cordially invites you to a very special Birthday Par-Tea for her Princess Sister at Latitude 360 Saturday, April 25th, 2015. This event has limited seating and tickets will sell out fast. Two event times are offered for your convenience! A custom party invitation sent to your child previous to the event. Meet and greet with Pittsburgh's newest mascot characters: The Snow Queen & her Princess Sister come to Pittsburgh! Light refreshments and tea party "goodies" at your fancy table. A take home party favor treat bag for each child from the Snow Queen's sister. A custom "Thank You" card from the Princess sent to each child after the event. Learn the Princess's favorite Royal dance! Sing Happy Birthday to the Princess & enjoy a royal cupcake! The Princess's friends are unable to attend however they left a very special birthday gift for the Princess! We can't wait to open it with you! Tickets go on sale: Saturday March 14th, 2014 at 9AM. Please visit www.tinyurl.com/MKPARTEA for more info or to purchase tickets starting March 14th. All attendees MUST have a purchased ticket to join the Tea. Adults and Children. Stay tuned to Macaroni Kid for more upcoming events and happenings. Find & subscribe FREE to your favorite Macaroni Kid today and be the first to know! This post sponsored by Macaroni Kid Pittsburgh. 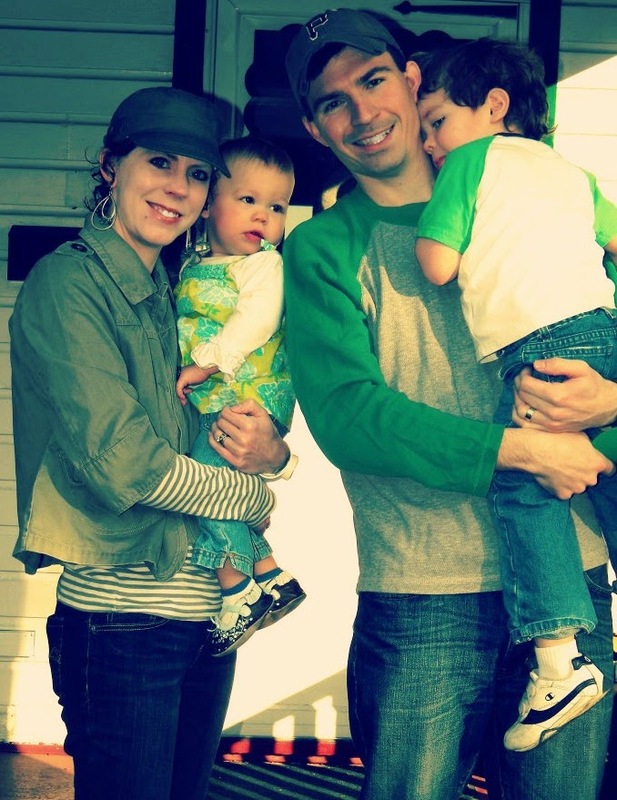 I was looking through past pictures of being downtown for St. Patrick's Day and was struck by our NO jacket attire! Do you think we'll be so lucky this year? Celebrate St. Patrick's Day with the family and head Downtown for one of the largest St. Patrick’s Day Parades in the U.S.! Parade begins at 10:00 a.m. 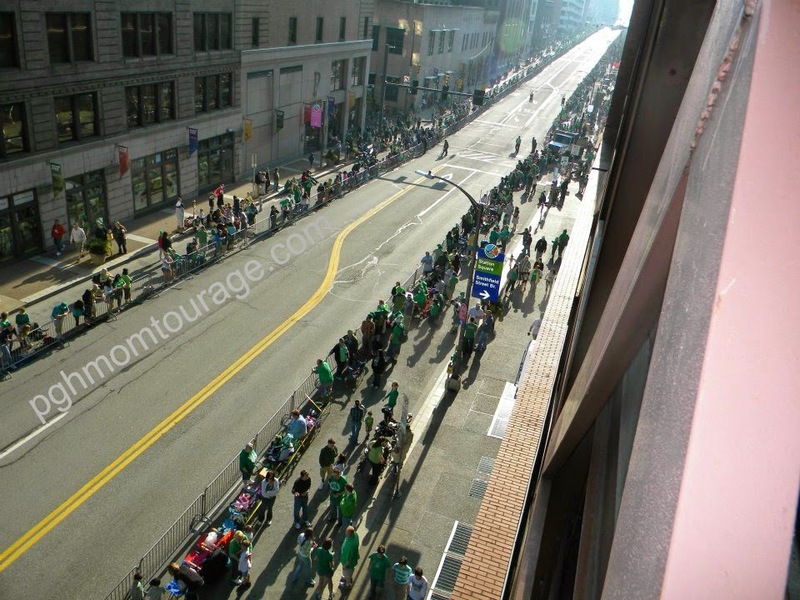 The 2015 St. Patrick’s Day Parade will feature nearly 200 marching units, including bands, floats, several police, fire and emergency service agencies, along with many groups from Pittsburgh’s Irish and other ethnic communities. Parade begins at the intersection of Liberty and 11th Streets to Grant Street to the Boulevard of the Allies (turns right). Then it goes down Boulevard of the Allies to the Reviewing Stand at Stanwix Street and ends at Commonwealth Place. Follow the Parade on Twitter http://twitter.com/PghStPatsParade. Saturday, March 14, 11:00 a.m. - 2:00 p.m. Following the Parade, bring the whole family to Fifth Avenue Place for family fun from 11:00 a.m. to 2:00 p.m. and show your love o’ the Irish with an afternoon of festive fun. Enjoy face painting with their cheery leprechaun, crafts with the Children’s Museum of Pittsburgh and be entertained with beautiful melodies by a strolling violinist. Your family will be sure to get into the Irish spirit at Fifth Avenue Place! The roll out of summer camps has begun! Are you looking for something active and help develop new skills for your kids? 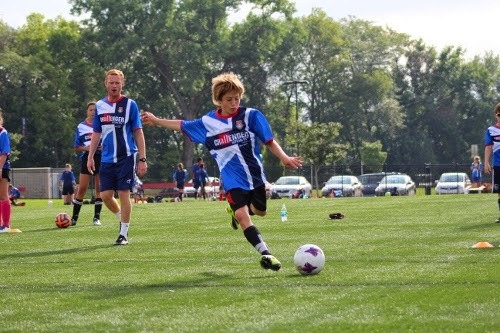 Then check out Challenger Sports - British Soccer Camps! 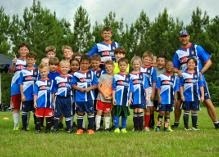 Enroll your child in a British Soccer Camp today and receive a Free British Soccer Jersey - Sign up during Early Registration and they will immediately ship you a great looking British Soccer Jersey! PLUS - enter code FMG15 and they will include a bonus Challenger water bottle. Go here to enroll. There are over 12 camps in the Pittsburgh area! You can find locations here. This post sponsored by Challenger Sports and US Family Guide. All opinions remain my own.